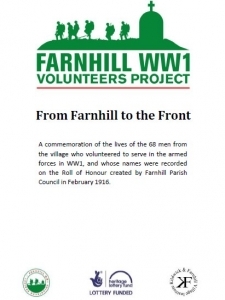 We’ve updated our booklet about the Volunteers, which you can download from here. If you have any information on any of these men, particularly the post-war lives of those men who survived the conflict, we’d like to hear from you. Watch out for more material from the project coming in the next few days, as the Big Upload continues.